It is possible to add a new schedule to a Protected Item that already has one. 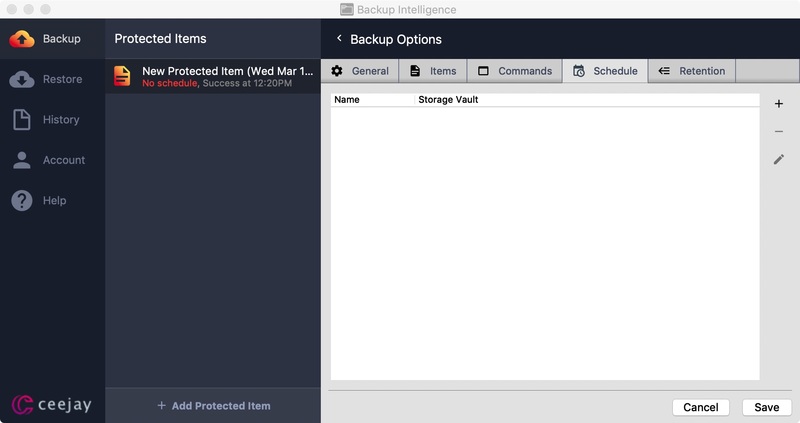 To add a new schedule, first click the Backup tab on the left dashboard and then click your chosen Protected Item. You should now see the option to "Edit Settings" underneath "Tasks". Click this button. Now click the “Schedule” tab. You will see all your current schedules listed. Click on the “+” button on the right to add a new schedule. 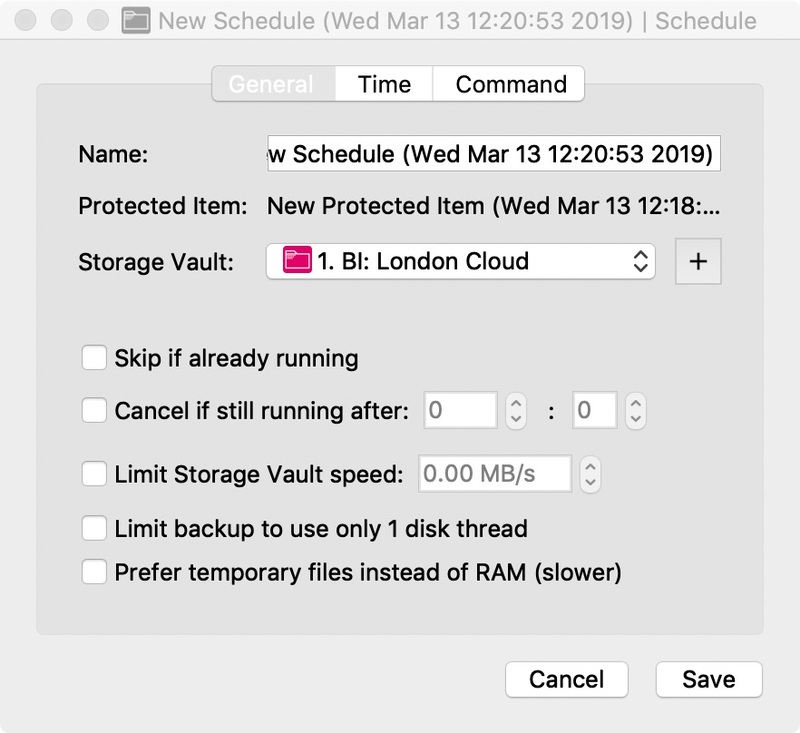 You'll now be shown the General settings first where you can give your schedule a meaningful name and select your storage vault. Now click the Time tab, and then click the "+" button on the right to add a new routine. You will be able to choose hourly, daily, weekly, monthly or even once only as your frequency. 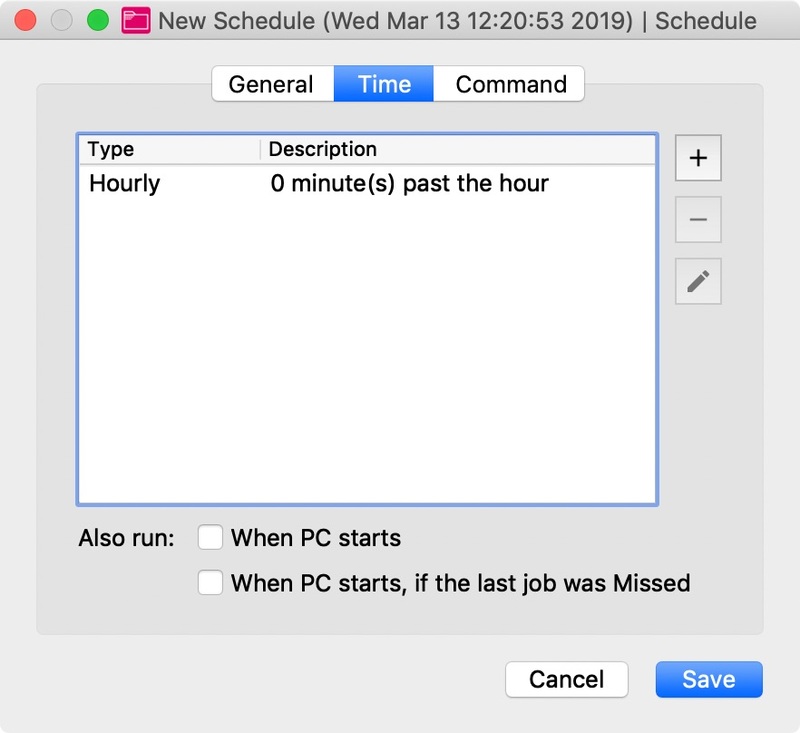 Depending on your choice of schedule some settings will be greyed out. Click "OK" once you're finished, check that your routine is listed then click Save at the bottom of the window. Finally, check that your new schedule is listed in the Schedule tab and click "Save" to confirm your new settings. Your backup should now run at the new times set.